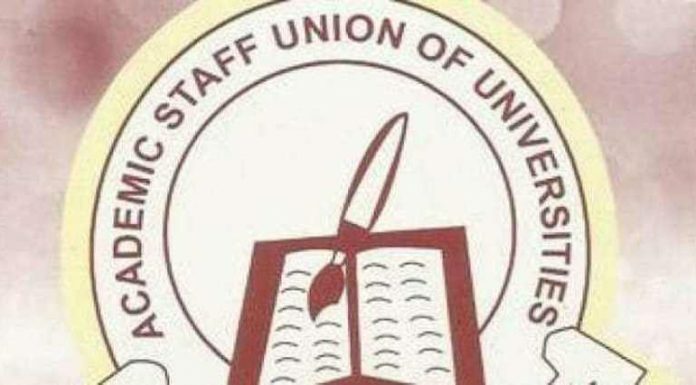 Some parents and students in Abuja on Tuesday urged the federal government to speedily intervene and resolve the ongoing strike by the Academic Staff Union of Universities (ASUU). The parents, who spoke with the News Agency of Nigeria (NAN) in Abuja, expressed worry over the constant strikes embarked upon by the university lecturersâ€™ union. On Monday, the federal government and ASUU had a meeting to resolve their agreement in order to suspend the lecturersâ€™ strike. However, the meeting that reportedly started at about 5 p.m. at the Federal Ministry of Education ended in another deadlock. A parent, Mrs Eunice John, said: â€œIt is a pity what our government and ASUU are doing to our children who have been forced once again out of school. â€œâ€ŽWe know that many of the leaders have their children either studying in private universities or in other schools overseas, that is why they can always keep our children out of school. â€œMany parents are struggling to pay school fees of their wards to keep them in school and out of the streets, yet these children are forced to come home and some now engage in various vices. â€ŽJohn pleaded with the federal government and ASUU to reach an agreement that would end the strike and ultimately help improve the education sector. Mr David Onilede, another parent, said the strike was worrisome, adding that it would affect the productivity of the students. â€œI am worried at the sustained strike by ASUU. As a parent, the capacity of our children for productive interaction with their studies is being jeopardised. â€œASUU too, should be more flexible in their obsession with earned allowances; it portrays their struggles as selfish,â€ he said. Mrs Jumoke Yusuf, a public servant, told NAN that the constant and protracted lecturersâ€™ strikes had marred the countryâ€™s university system, as continuous breaks in the learning process had negatively affected the students. â€œThis strike is affecting the students and even we the parents because unexpectedly these children are coming home which they did not plan for. â€œThat is not the main issue because you cannot stop your children from coming home no matter what. â€œThe issue is that these incessant strikes are actually causing a lot of problems for these children in the sense that they just stay too long in school,â€ she said. Esther Ajayi, a student â€Žat the Nasarawa State University, who a spoke to NAN, said the strike had reduced her morale. â€Žâ€I paid my fees for admission for a masterâ€™s degree programme and was excited and ready to go to school, however, this strike has dampened my hope of finishing within the stipulated time. â€œWe want the federal government to dialogue with ASUU to end this continuous strike. â€œIt is not only sad that children of the masses try to beat all odds to be the best they can be, but more worrisome is that the government of the day plays politics with the education system. â€Žâ€Nigeria prides herself as the giant of Africa, but finds it difficult to resolve issues that are beneficial to the populace, we want the strike called off soonest,â€ she said. He said that government needed to do everything within its power to address the challenges in the sector as he called for the strike to be called off soonest. â€œOur parents said in their time the education system was good, there was nothing like strike and education was basically free. â€œWe are pleading with government to solve this problem so we can go back to school. â€œOur â€Žmates in private universities are way ahead of us; weâ€Ž are just sitting at home doing nothing. It is not fair,â€â€Ž he said. ASUU began an indefinite strike November 4. Specifically, ASUU demanded improved funding of public universities based on agreements reached with the federal government in 2009.